My apartment looks nothing like the shiny buildings here. 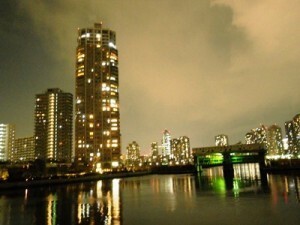 In any case, this is a residential and business area of Tokyo. 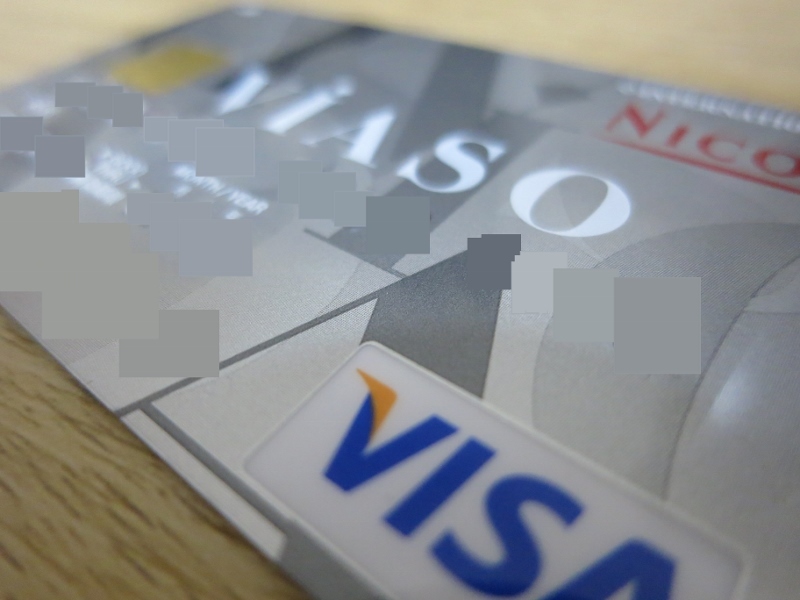 When moving to Japan, worrying about your visa, passport, job, living space, and airplane ticket all take up valuable brain-space Many people who move to Japan just opt to rent a furnished apartment. 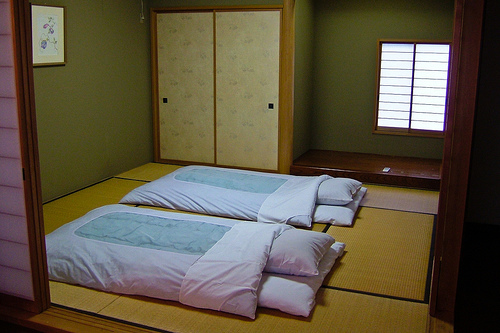 If you plan to stay in Japan for only a year, I would suggest renting a furnished place. If you are planning to stay in the same place in Japan for a while, it may be more cost-efficient to rent an unfurnished Japanese apartment. Since I recently moved to an unfurnished place in Japan, I drew up this list of five appliances you will need if you choose an unfurnished Japanese apartment. Craigslist: It costs money to throw away items in Japan. Throwing away appliances and other large items is especially expensive. Thus, many people who move from Japan have “sayonara sales.” They try to sell their items for cheap or give them away on the Craigslist website. I’ve had a lot of success getting cheap items this way. My favorite way to furnished an unfurnished Japanese apartment. Amazon: If you can read some Japanese or have a friend who can, the Amazon.com website is a great option. English navigation is also available, but some item descriptions are only in Japanese. Items from Amazon usually arrive within one or two days, particularly if you are living in Tokyo. Kakaku: A Japanese website that compares prices of items from different online stores. Only available in Japanese. Don Quijote: Very inexpensive, a little gaudy, but often the go-to store for non-Japanese or younger people here. Bic Camera: A huge box-store that sells electronics. They also have a good selection of home goods. Recycle shops: There are tons of second-hand stores in Japan. Interestingly, I’ve found them to be more common outside of Tokyo. You can also sell your items to these stores. You might not get much money, but it’s more eco-friendly and cheaper than throwing the item away. 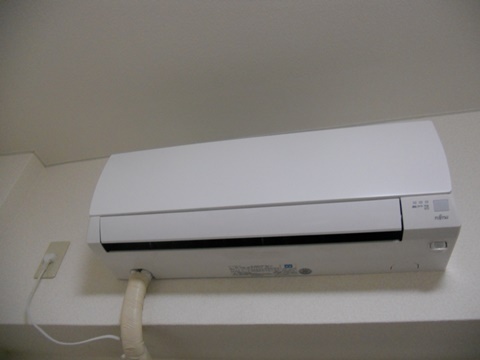 Some well-known Japanese recycle shops that are good to fill your unfurnished Japanese apartment are Hard-off and Don Family. JPY to USD: As of May 2013, the conversion has been about 100 Japanese yen to 1 US dollar. Description: A light for your ceiling. Naturally. Circle-type LED lights are the most popular, but hanging lights are also available. Decide what type of light you want (LED, circular, hanging, dimming, with remote, etc.) Keep in mind that hanging lights are harder to clean. Check what kind of socket you have. Most lights and sockets are the typical two-pronged type. Install. You’ll probably need a ladder! Usually with circle-type lights, the circular plug connector piece goes in first. Then you put the LED light component, followed by the plastic shade. Other lights may install differently. 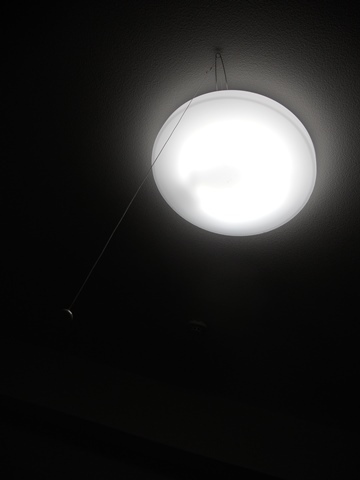 My experience: I went three weeks without a ceiling light. This probably contributed a lot to me getting a serious case of the blues in my lonely, unfurnished Japanese apartment. You may want to consider buying this item first. I tried buying one off a Craigslist, but I was sold one that was missing a component. I ended up borrowing a coworkers aquarium light. He was apparently pretty hard-core into keeping fish; this light was really bright. After a week of aquarium-living, I finally bought an LED circle light off of Amazon for about 4,000 yen. I’m a very happy person now. Mine is kind of broken, but whatever. Description: A machine to wash your clothes. Most people in Japan dry their clothes outside, but combination washer/dryers are available, as well as separate dryers. Check the size of the area for your washing machine. Make sure washer comes with these items: water intake pipe, four-screw faucet connector for the water intake pipe, water output pipe, washing machine connector for water output pipe, connecting elbow pipe between water output pipe and drain, connector tie for elbow pipe. Check about transportation. Washers are actually relatively light, but may be too bulky to carry alone up stairs. Connect washing machine water intake pipe to faucet. Then, connect water output pipe to drain, Last, plug in washing machine. Enjoy nice-smelling clothes. 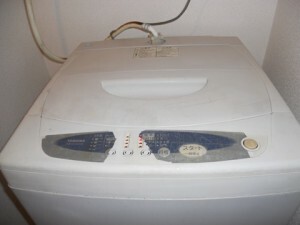 My experience: I bought a 1,000 yen washing machine off of Craigslist. It is leaky and has some of the buttons worn off, but… it was 1,000 yen, and it is currently washing my whites. I can’t complain. I paid about 10,000 yen to transport the washer and gas stove. My unfurnished Japanese apartment felt a little more furnished after the washer came. Description: A kitchen counter-top machine run on electricity or gas that heats up to give you delicious food. Check size of area for stove. Determine what kind of stove you need: city gas, LP gas, or electric. See this site for details. If gas stove, make sure gas stove comes with hose to connect to gas line and connector snaps. Also buy a metal wall protector to protect surrounding area from splatters. My experience: I bought a 1,000 yen gas stove off of Craigslist from the same guy who sold me the washing machine. I paid 10,000 yen to have the gas stove and washer taken to my unfurnished Japanese apartment, which is about 45 minutes away from the pick-up location. The gas stove is a little, well, crusty, but works just fine. Plus, I can’t cook, so whatever. My cooking box on top of my cooling box. Description: A cooling machine to keep your perishables fresh. Usually comes with a freezer. Measure the space you have for your fridge. Buy a fridge, keeping in mind weight and how you’ll transport it. This is a big concern for refrigerators since they are heavy and since not all apartments have elevators. 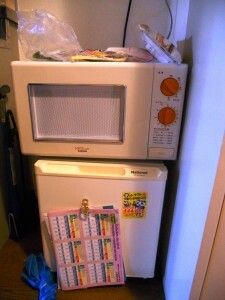 My experience: The cheapest refrigerator I found was for around 3000 yen on Amazon. However, it doesn’t have a freezer. But since I always eat ice-cream within 1 hour of buying or receiving it, I don’t need a freezer. I finally got an a/c unit. 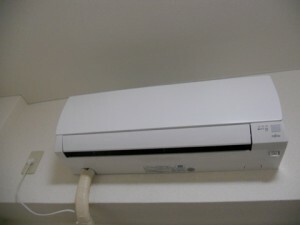 Description: A heating and cooling machine that ensures you don’t die of frostbite in winter or heat stroke in summer. Many people get away with just a fan in summer and heater in winter, but most use A/C. Also, since most people move at the end of the fiscal year, around March, you can usually get away with not buying one until June, depending on where you live. Determine where your A/C will be installed. Check the A/C area for size. Schedule transportation and installation (should be installed by a professional). Bask in the modern luxury that is conditioned air. My experience: I actually don’t have an A/C unit yet. I’m coasting along by using my heater for the chilly May nights. We’ll see what happens when summer comes. These are the five appliances that I think are most essential to buy for your unfurnished Japanese apartment. Honorable mentions go to microwave ovens, toasters, TVs, and futon-dryers, which will probably be the topic of the next post. Are there any other essentials? Where did you buy your furnishings? Hi, The article indeed helping a lot. I am going to move into Tokyo in mid year. Japan is totally new to me. My feeling told me that it’s not easy to get settle down just like settled down in Singapore. The big concern for me is how much from my paycheck will be deducted for those Statutory payments and Taxes in Japan as for foreigner. And of course with high cost of living compare with Singapore, I have to be mentally and emotionally ready for the move. Hope you have those information which can share with me. I’m glad this helped you! The JETRO website has a good rundown of taxes for individuals. The two basic taxes are income tax and residence tax. Income will usually be calculated and collected from your paycheck by your employer. Some employers will also automatically take out residence tax. If they don’t, you will get invoices in the mail that you can pay at the convenience store. Also remember that you are obligated to pay health insurance and pension. If your employer provides it, the payment will be taken out of your paycheck. 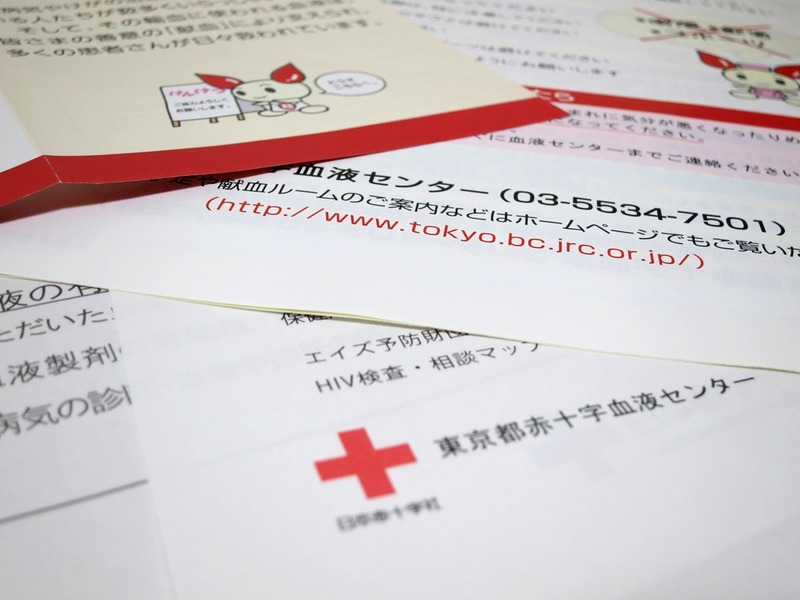 If not, you’ll need to sign up for the national health insurance and pension, which will then sent you invoices to pay at the convenience store. Please also note that this is a general outline (and also may have left some details out). Also, depending on your job, residence status, etc., these details may change. I was really surprised when I found out that it’s rare to actually find a furnished apartment here in Japan. I will be moving to an unfurnished one since it’s closer to my office. You’re very welcome. Thank you for taking the time to read it! Apartment companies that cater to foreign residents, such as LeoPalace, usually have a wider selection of furnished apartments, but, by and large, many rentals in Japan are unfurnished. Luckily, many apartments come with A/C (unlike mine, which was a special case), but as outlined here, you’ll probably need to buy some essentials on your own. Good luck in your move! I hope you’re able to find some good ways to save. The five appliances that you mentioned in your post are indeed the most important ones that you can add to your unfurnished apartment. My favorite among the five that you featured in your post is the washer and dryer set. It’s because it is a very helpful tool in doing laundry. It makes washing clothes very easy and it doesn’t consume a lot of space. Thanks for sharing the factors that need to be considered when buying one, it can help others end up with a good washer/dryer set. I’m glad you find the article helpful. It’s difficult to know where to start when buying items for an unfurnished apartment, especially when moving from one’s home country.